For buyers and sellers, the ultimate goal is to see that “SOLD” sign hanging in your front yard. I’ll help you get there. I’ve been a real estate agent in the Fox Valley for over 20 years and absolutely love this job. The best part is being able to help so many people on their real estate journey and make the experience as simple and stress-free as possible. To date, I’ve helped hundreds of clients buy new houses and sell their existing homes. "Val helped us sell and buy a house. She staged our home so well we received glowing feedback from each walk-through, and our home sold quickly (largely due to her efforts and advice). She helped us find the PERFECT home, and never failed to impress us with her knowledge and responsiveness." 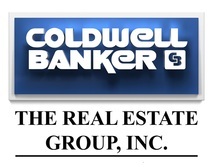 Coldwell Banker The Real Estate Group helps buyers and sellers simplify the real estate experience.